If you're looking for a no-nonsense, cut-to-the-quick, show me how to evaluate franchises so that I can buy one that's right for me . . . this is the workshop you need. And it's the only one you'll need! It's taught by John P. Hayes, PhD, a 30-year franchise veteran who has been both a franchisee and a franchisor. Dr. Hayes has worked with 100 different franchise systems as a consultant and he has written extensively about the topic. He has been teaching this seminar for nearly 20 years to thousands of individuals, many of whom have successfully purchased franchises. If you hope to become a successful franchisee, get started with confidence by participating in this workshop. You will learn the basic information about franchising but glean an in-depth knowledge through the experiences of Dr. Hayes who will help you understand how to interpret and use the Franchise Disclosure Document to discover reliable information about the performance and viability of any franchise, how to evaluate the franchisor's operating system and determine if you and your intended market are compatible with the system, the pros and cons of franchising, the fees required by franchisors, the facts about territorial and product restrictions, how to raise money to invest in a franchise, and much, much more. This is the perfect workshop for people who are just getting started with their research as well as those who are close to making a decision to buy a franchise. Questions will be answered throughout the workshop. All workshop attendees receive admission to the exhibits on all three days. Anyone who's thinking about buying a franchise will find this workshop to be invaluable. Where else will you have the opportunity to spend 3 hours with a seasoned professional who provides honest, accurate, timely information about franchising? Don't worry, this workshop isn't intended to sell you a franchise. It's intended to educate you about the pros and cons of buying a franchise and help you understand why buying a franchise may be right for you. The subject matter is intended for people who want to buy a franchise in the United States, although the seminar also attracts many international candidates as well as prospective franchisors. Attend only if you want to be better educated about buying a franchise! In addition to the comprehensive information covered in the workshop, you will receive a binder of all the information presented. You will utilize a self-evaluation tool to test your compatibility with franchising. The profile, valued at $125, will help you determine the type of franchise that makes sense for you to buy. Also, you will receive a copy of the Franchise Pre-Investment Checklist, a 65-page booklet that steps you through the process of evaluating and buying a franchise. The booklet is a $24.95 value. You also get Dr. Hayes's exclusive list of 92 Questions To Ask Before You Buy A Franchise! -he's done much of your homework for you! Finally, you get email access to Dr. Hayes for his lifetime-got a question after the workshop? You can get answers to your questions at no additional charge. Value: Priceless! All course materials are presented in English only. All attendees receive admission to the exhibits on all 3 days. 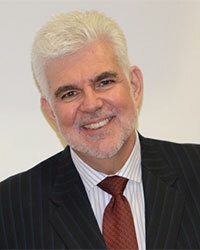 Dr. John Hayes is the Titus Chair for Franchise Leadership at Palm Beach Atlantic University. He teaches students and professionals about franchising. He is one of the few people to have been a franchisor, a franchisee, and an advisor to franchise companies internationally. He speaks at franchise conferences around the globe. Dr. Hayes has worked in the franchise community since 1979 and wrote America's first book about franchising: Franchising: The Inside Story. He has since written more than 25 books most about business and franchising. He blogs at HowToBuyAFranchise.com and he has a popular Youtube channel: Youtube.com/HowToBuyAFranchise.